This is part 2 of a two-part article, the first of which I wrote some months ago, so I shall provide a link to the first part here. I meant to complete this a lot earlier but all sorts of things happened and it just didn’t get done. At some point I came to the realization that a lot of my frustration and anguish was coming from comparing myself to my classmates. I looked at them and myself as one and the same and thus could not understand why I felt like I was always struggling harder than them. I started considering the factors that separated me from them, and one of the major ones that I had spent too little time considering was my learning disabilities. As a child I was diagnosed with a variety of learning disabilities, and while I was never officially diagnosed with something as straightforward as dyslexia, I frequently display symptoms of it — my pattern-recognition abilities are practically nonexistent and I frequently mix up directions (I can’t even remember a string of three digits without writing it down and constantly referring to it). This meant that I was plagued by two elements that were extremely detrimental to language-learning — I had an exceptionally hard time sitting for long periods and studying repetitive material continuously, and I was unable to remember how to spell words and would constantly confuse characters. I had been aware of my learning disabilities for many years, as I was diagnosed at a relatively early age. I decided I needed to make a number of changes to my attitude and approach to studying Korean. If not being able to handle the repetitiveness of language-learning was going to stand in the way of my learning the language, then I’d have to find a way to make it less tedious. If pattern recognition was an issue, I’d have to focus a lot more time and energy on spelling. However, most importantly, I’d need to spend considerably less time worrying about how other people were doing in relation to me; after all, I was learning this language for me, not for them. In order to soften the tediousness of vocabulary-learning I took a multimedia approach. I now start with a textbook lesson that I stretch out over a few days or so and make sure to watch a Korean-language TV show at least once a day if time affords. Nowadays one can easily watch myriad Korean television shows on YouTube and numerous other websites, anything from kids’ shows to documentaries to dramas and variety shows, with or without subtitles. Also, when I was on the subway, I made a point of reviewing flashcards, and when I was on the go or hanging out someplace, I’d read Korean web comics, using a dictionary loaded onto my smartphone for quick reference. While walking anywhere, I’d listen to Korean music, attempting to pick out the words I recognized. Above all, consistency is the most important thing. It doesn’t really matter which media you use, just as long as you are practising on a regular basis. This all helps to reinforce the vocabulary I study. I certainly do not relish sitting at a desk and committing entire lists of words to memory — it’s just boring and I think it’s much easier to remember grammar and vocabulary when you see or hear it in a specific context. Still, a textbook is required to provide the groundwork, as you need to be able to recognize the grammar in the first place. As for spelling, my approach was much more straightforward. Many of us, at some point in our day, find ourselves sitting around not doing anything, whether it’s on lunch break or waiting for someone or what-have-you. During these times I’ll often run through my flashcards and transcribe the random bits of vocabulary I’ve compiled — over and over again, word by word. If I don’t have a pen and paper I’ll try to spell the words in my head, syllable by syllable. This probably sounds kind of awful but it actually takes remarkably little mental effort and it can be almost therapeutic. There are other ways to do this as well with numerous smartphone apps. Sadly, the only way I know to help one’s spelling abilities is through repetition; however, there really are more tools now than ever. One thing that really made me realize that I needed to tailor my learning approach was talking more with my classmates and teachers. It turned out that quite a few of my classmates had similar problems and stresses to mine, so I found out I wasn’t alone, and that was quite liberating. It turned out that a few of them had similar learning disabilities and had come up with their own tricks to learning the language. I realized we were all in it together. When learning a language, I think it’s fairly common to experience envy or feelings of inadequacy when encountering a non-native who seems to speak better than us. Around such people we tend to hide our linguistic capabilities out of embarrassment, as if there’s some sort of competition going on and we think we are losing. At least, I certainly felt that way. But what I’ve come to realize is that in most cases those experts are people you really should talk to and speak your language of choice around, as they will offer some truly helpful feedback if prompted. In my experience, most people aren’t jerks, and talking to them about how they got so skilled at that language often reveals modesty and a story of struggling and overcoming — in most cases they don’t think they are really that good. You’ll get a lot of tips too; after all, nobody just picks up a second language. The moral of the story is, when you learn a language — or anything, for that matter — you have to consider your individual strengths and weaknesses and you have to be realistic with yourself. You may pick up certain things much more easily than others but will also need to work on things that others pick up easily. We’re not all good at the same things, and so when we learn, it is important to tailor our studying to match our needs. Find out what works for you and you’ll notice definite improvements. Just stay focused and get to know yourself — there are multiple roads to greatness. Wow thank you so much for your awesome story! It’s truly inspiring as I have almost the same difficulties as you do. 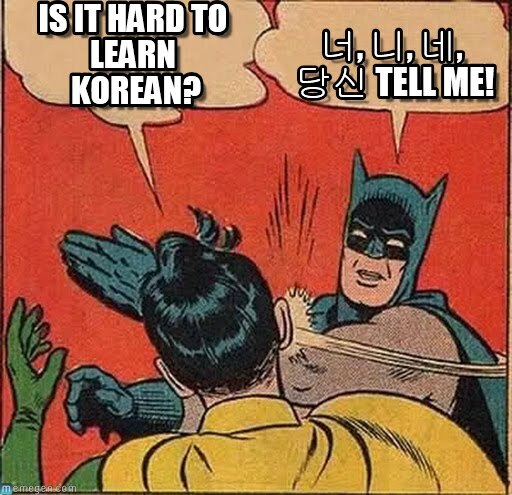 I have been through a lot with learning Japanese and was scared about learning Korean at a university thinking I’m not ready. But you have truly inspired me and gave me courage. Thank you so much!